Python is a powerful general purpose Open source Object-oriented and Robust High-Level programming language. It also supports procedural programming as well as scripting. Python was developed by a Dutch computer programmer Guido van Rossum, who named the language after the BBC comedy series “Monty Python’s Flying Circus”!! This course is intended for absolute beginners in programming as well as programmers migrating from other languages. If you are looking for advanced tutorials on Python, this may not be the place. Instead of explaining only the theories, I’ll try my best to fill the tutorials with solved examples as well as practical references. This tutorial is written in Windows but can be followed in both Linux and Mac OS with little or no modification. Do I need any Prerequisite? No, you don’t need any sort of prerequisite or previous knowledge of programming. Although a little patience and something between the ears can be very helpful. Simplicity: Python implements syntax which are highly simple and easily readable. You don’t need to refer to manuals time and again for writing codes. If you are migrating from C or a C-like language, believe me, you’ll be charmed by the simple syntax Python uses. Even if you are familiar to high level languages like Java/C#, you’ll still find Python’s syntax extremely easy to use. Portability: You can run all your Python codes on multiple operating systems, starting from Unix, Windows, Mac OS to Windows mobile and cell phones running Symbian OS, without modifying a single line. High-level Language: You really don’t need to know about computer architecture in order to program in Python. Being a High level language, Python was designed to be less error-prone and to remove the programmer from having to know the details of the internal architecture of a particular computer. Object Oriented: Python supports both objected oriented programming (OOP) as well as procedural programming. Its object oriented nature highly promotes the code re-usability. Python programs are smaller, simpler and more flexible than othe object oriented programming languages like C++/Java. If you haven’t heard the term OOP before, don’t worry, we will explain it later when needed. 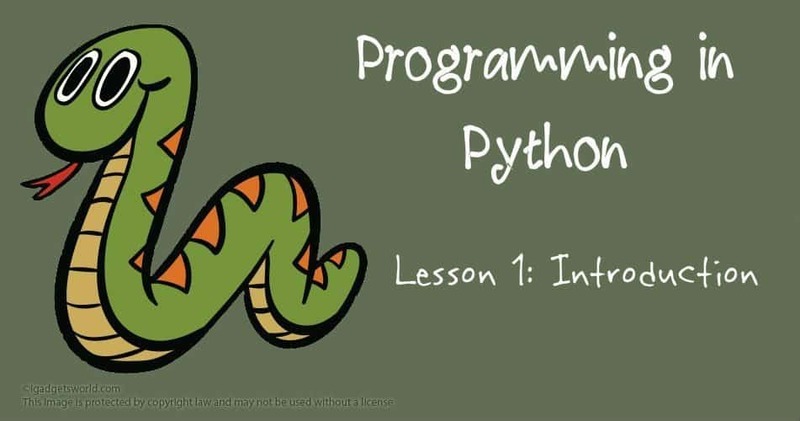 Mixability: Python programs can be easily embedded into another program written in some other programming language. This is very helpful in large projects where you can add specific functionality from Python without using it in the whole source code. OK, but can you name a few software written in Python? BitTorrent, a peer-to-peer file sharing system, is written completely in Python. The Web Search system of Google uses vast number Python codes. YouTube’s video sharing service is largely written in Python. Finally, I’d like to say that the best way to judge a language is to try it out at first. So lets take our first step towards learning Python. In the next tutorial, I’ll show you how to install Python. Further we will post more tutorials in a lesson manner like from the beginning to end! and we are soon setup a page to display all the tutorial links in lesson manner! Previous article[Trick] Install unlimited apps/games to Dev Unlocked WindowsPhone 8.1 device!